My first blog that paved the way to my writing life. I read this quote in Rex Pickett’s novel Sideways and I couldn’t get it out of my mind. Aside from the fact that it’s a brilliant metaphor, it made me stop and think about technology today – technology and its relationship to writing. A character in this story believed that a true writer does not publish on the internet – he seemed to think he would be labelled a failure by doing so. That may have been the case in the early days when traditional publishing seemed like the only option to share our work, but the world of publishing has changed – just look at Kindle. Earlier this year I purchased a Kindle. I did so out of pure convenience. I’m on the road a lot and rather than pack a bunch of books, I bring my sleek little Kindle – a small compact unit that holds multiple books. 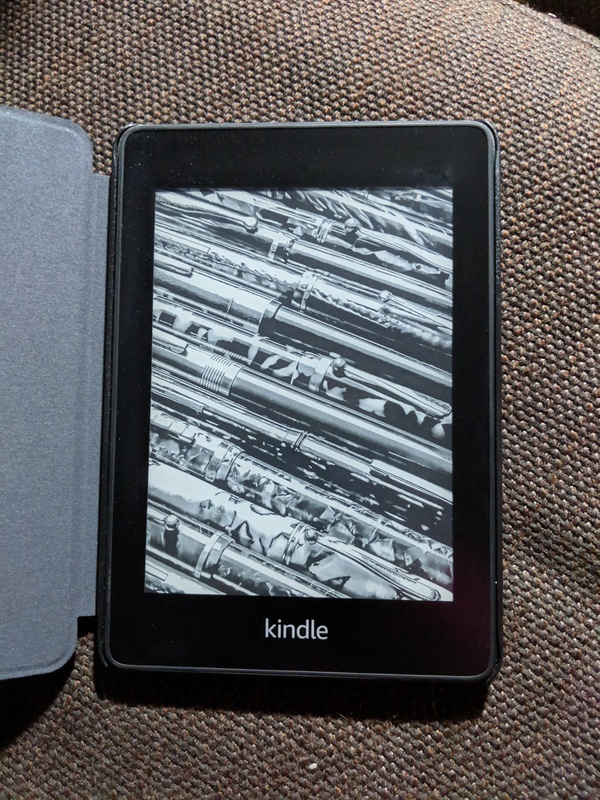 I love the feel, the scent, the texture, and the sound of turning pages from a real book, but the Kindle has quickly become my little technological wonder that brings my books, my research and my stories everywhere, without the extra cost of overweight luggage. We all covet that book deal with a publisher that puts a hard copy of our book in our hands, but today we have so many other options. It’s rare that we’ll get a book deal out of our blogging or internet writing, (there are a lucky few), but we will gain experience, improve our craft, connect to community, find an audience and grow as writers. Yes, the internet can be our biggest distraction, but only if we allow it. Many things can be a distraction to the writer – family, housework, friends and pets. It’s up to us to set the boundaries and avoid them as best we can – close the door, turn on off the phone, turn off the WiFi, tell friends and family we are not available for the next hour (unless it’s an emergency), and make sure our pets are fed, comfy and happy before we settle in at the desk. The internet has given us a place to share our stories and create a space for our work. When once it was the lowliest place for a writer to go, it’s now a new world of opportunity. It gave us the blog and the blog gave us license to write, stretch our legs, and promote our art. The internet doesn’t have to be “a dark road potholed with links”. It’s no longer the last resort – now it’s a great place to start.